Legacy is a very flashy dark bay Thoroughbred gelding with 4 white socks and white markings on his face. 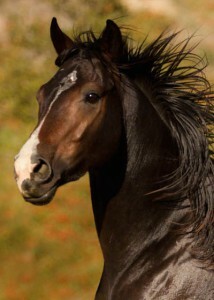 While he stands 15.o hands, he is a smaller horse with a pretty trot and a natural athleticism. Legacy is green, and requires a small confident adult rider. His previous owner left behind two things when he died….a lot of debt and two horses. His dream of breeding and racing the next Kentucky Derby winner ended in what became a night mare for the two horses he left behind. With mounting unpai…d board bills, the grieving family was threatened with their fathers legacy being sent to slaughter. 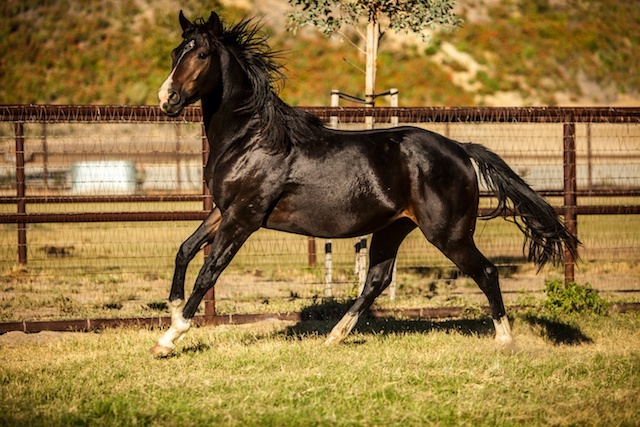 When the family asked for our help, we stepped up, and took it one step further….When the bay colt was stolen we tracked him down and helped the family recover him in order to safely turn him over to our care, custody, and control. We gave our two year old colt the gift of 6 months in pasture, time to grow strong and time to learn how to be a horse. In preparation for his training, we gelded him and picked him up this morning as the sun was rising. While he bravely loaded the trailer without incident….getting him to unload was quite a different story. Twenty minutes of coaxing, cuddling….and a red bucket would not convince this youngster to step off. Finally, we carefully backed him off and settled him into a roomy stall with some lunch. While it is safe to say that stunning beauty will not be the next racing champion, we are devoted to training him and preparing him for a happy satisfying life. To honor the memory of the man who bred him, we have named him Legacy…and he will surely have one. Red Bucket Equine Rescue is a 501(c)3 non-profit organization. © 2018 Red Bucket Equine Rescue. All Rights Reserved.